Summer is in full swing and so are the County Fairs and Carnivals. I know we all have that beloved favorite treat that we just have to get while visiting the fair! Well, my family’s favorite “go to” fair food is the Funnel Cake and these Funnel Cake Bites taste just as good if not better than what you find at your local fair. These are made in the comfort of your own kitchen and can be enjoyed all year round! Now don’t forget, while you’re here to stick around and check out our Cool Orange Creamsicle Squares that are absolutely scrumptious and also easy to make! Then hop over and check out our #1 post here at Domestic Mommyhood, the ever-popular How to Make Smore’s In the Oven recipe! It has been pinned over 44 thousand times! Around here we are all about good food that is made fast!! We pride ourselves on making Easy Dinner Recipes to help save time at night and to leave more room for the kiddos! Nobody likes standing over a hot stove after a long busy day. In a medium size bowl mix your milk, egg, vanilla, and butter together. Then add in your salt, baking soda, and sugar. Slowly fold in flour until batter becomes smooth. Pour your batter mixture into a gallon size Ziplock baggy and set aside for a few minutes. Pour vegetable oil into a frying pan until your oil is about a half inch deep. Turn burner on high heat for about two minutes and then turn down to medium heat. Check your oil by dropping a small drop of batter into oi. If it begins to show bubbles around the edges then it is ready. If not than turn it up a bit again until it is good and hot. Take scissors and cut a small hole into the bottom corner of the baggie. Slowly drizzle batter into 1 to 2 circles and cook until golden brown on the bottom half. Gently flip them over with a slotted metal spatula and cook again until the bottom half is golden brown. Place on paper towels to soak up most of the grease and sprinkle with powdered sugar. Serve with whip cream or fruit to top them off with. **READER TIP** Jenn had really good luck using a small cookie scoop to measure out and drop in the dough! 🙂 Thanks Jenn! CAUTION- Working with any kind of hot oil can be dangerous. 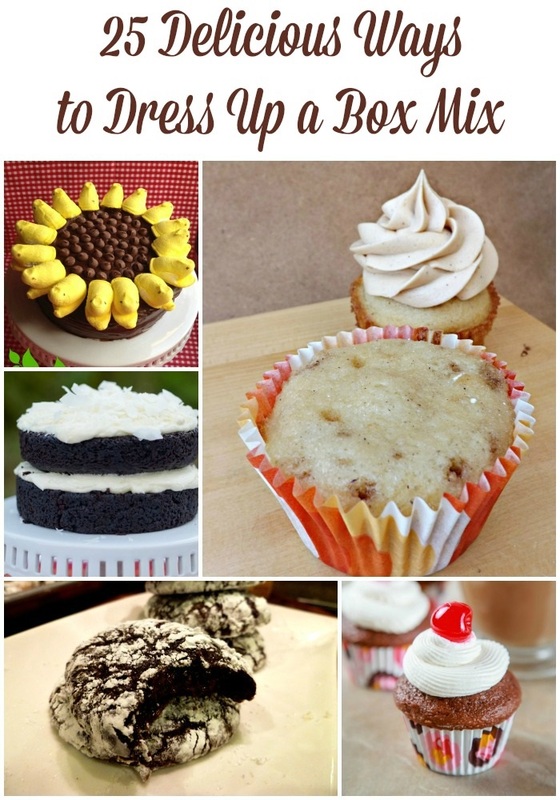 Make sure you take proper precautions when making these. The oil does not need to be on a high heat at all. Just enough to make it warm and keep it warm. What is your favorite fair food?? Don’t miss another post again!! Sign up for our email updates below!! You had me at funnel cake! I love this – reminds me of fried dough or zeppolies with powdered sugar I used to have on the boardwalk at the Jersey shore when I was a kid. yes! Now I know how to curb a craving at home. Pinning! Those sound absolutely wonderful!! I would love to make me some of those sometime soon!! 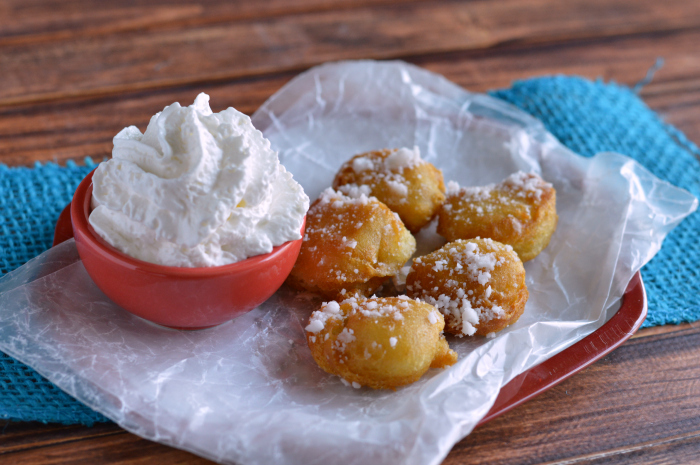 We love funnel cakes from the fair, but this idea of making them into bites is wonderful! Thanks for the inspiration! These sound absolutely amazing. I love that they are bites instead of the big “cake”. OHHHH , me and kiddo are going to have fun with this recipe! I never have to pay for fair food again. I’m so excited! You are killing me and my diet! These look delicious! Oh my gosh, these have my mouth watering. Funnel cakes are one of my favorite fair snacks, but I haven’t been to a fair in years. My son would love these. Every festival we go he begs for a funnel cake. Oh yummy! I love that you don’t have to eat an entire funnel cake, just a bite is what I crave. Umm, yes please! I LOVE funnel cake! So putting them into bites is even better! Just the name Funnel Cake makes me want some. These look delish! Who doesn’t love funnel cake? This makes me hungry and I love that you made them into “bite” form. I am so making these. I love funnel cakes. Thanks for the recipe. These look delicious and so easy! I bet my kids would love them. These look amazing! I’ll be trying these with the kids this summer! Those look insanely delicious! My mouth is watering just looking at them. My daughter and husband would love these, I am not so good at baking at all. It would be fun to surprise them with a treat. 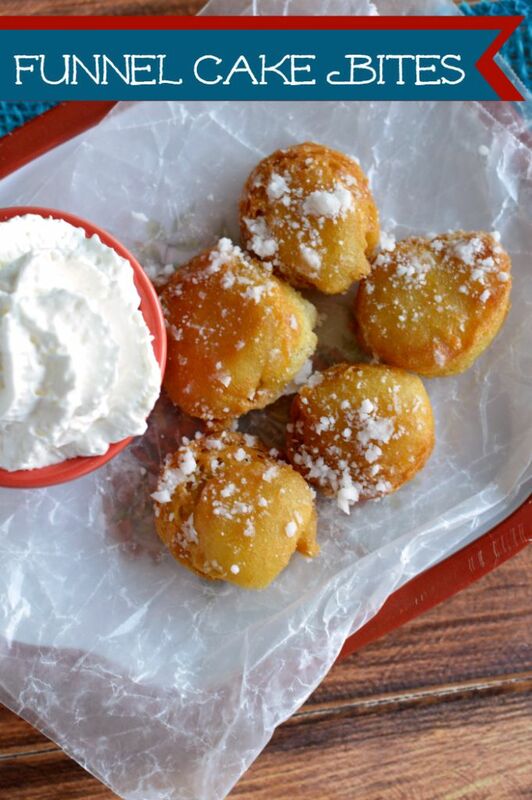 Ohh, funnel cake bites sounds delicious. I’d love to have something light and tasty like those for a treat for the kids, or maybe even a weekend get together. My mom will LOVE these! I can’t wait to make them for her! I can’t recall the last time I had funnel cakes. These bites look real tasty! Mmm, these looks like a great recipe for cheat day of my diet. I can practically taste these! Funnel cakes are delicious! These look great! These look really yummy! I’m going to have to make some for the kids! I love funnel cake! I was just thinking about it today – how ironic! Oh, that looks like such a sweet treat. I have a major sweet tooth now! I love funnel cake! Thanks for the recipe! OMG!! These look so good. I love a good funnel cake to. They have these at a restaurant in town and they are so relish! I love love love funnel cake! I should never save this recipe- or I would be about 5 billion pounds! Omg I have not had or thought about funnel cake since I was a kid growing up in South Jersey and spent the weekends on the Ocean City boardwalk. These are so nostalgic for me! Thanks for sharing at the Melt In Your Mouth Monday Blog Hop! These are a better size than the huge ones! Thanks for sharing at What’d You Do This Weekend. Growing up we had a fair we went to every year and the one thing I always craved was the funnel cakes!! I am so excited to try these out. Now I can have them anytime of the year!! Yummy!! Oh. My. Goodness. I was just telling someone last week how much I LOVE funnel cake. I can’t wait to try this recipe! Thanks!! This is a great idea! Thanks for sharing with Foodie Friends Friday. Yeah mine didn’t turn out close to that. They were more like crumbles if that. I love funnel cake!! It never crossed my mind to try making them at home. This could be dangerous! And I love the idea to make them into bites! Funnel cakes, hands down are my favorite fair food! The warm crispy outside, the soft and tender inside, with that powdered sugar on the top, delicious! I’ll have to try this recipe out! Hopefully it works without the egg (I’ll use a Flax egg). My daughter is allergic to them, so I experiment all the time, hope this one turns out! These were good. I used a small cookie scoop to drop them into the oil. It’s good to note that if you don’t drop fast, it will make a ton of small pieces-a mess. That is a wonderful idea Jenn! I am going to add that tip to the post! Thank you for sharing! How many estimated calories per serving? A yummy and fun idea! Looks easy too. Can’t wait to give it a try! oh my gosh this looks delicious! I love going to fairs to get funnel cake and finally some I can make at home! I’m definitely down for this!! yay! My husband is going to be so excited when he finds out that I came across this recipe. He loves funnel cake and I know he’s going to love this! Thankyou! I found your recipe at Inspire Me Mondays! For how many people is this recipe good for? How do I print t his receipt from my kindle fire? My students are making this for a food truck festival project in class and need to know approximately how many funnel cake bites this makes. Thank you!